* Oil rimmed baking sheet well and cut vegetables into approximately 1-inch chunks. * LIGHTLY coat veggies with olive oil. Too much oil can actually make them soggy. 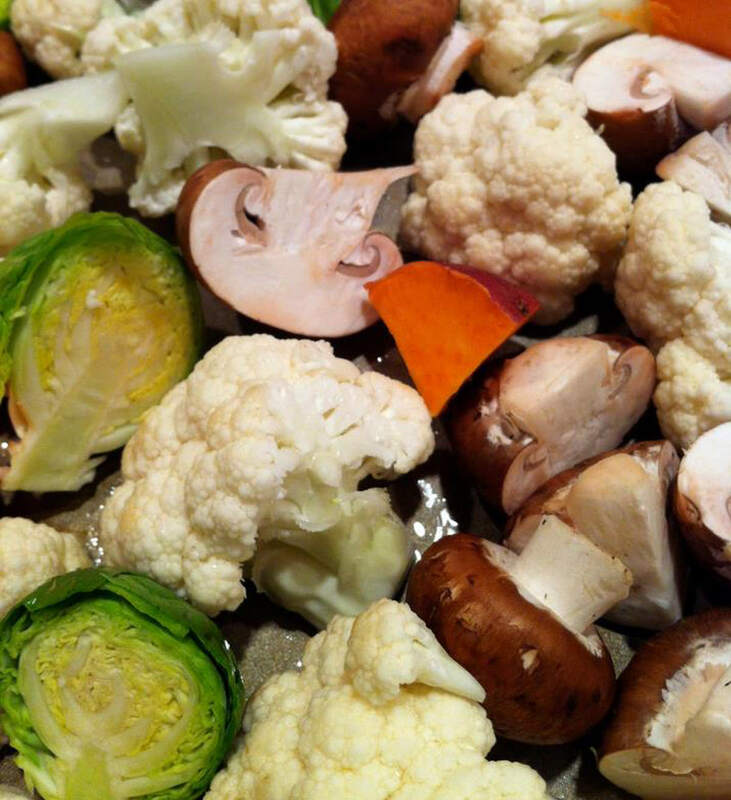 Simply shake veggies around on a liberally-oiled baking sheet or spray lightly with olive oil mister. * Sprinkle to taste with kosher or sea salt and freshly ground pepper. * Best tip for optimal browning: Take a minute to arrange vegetables cut-side down (skin up) so that the largest area of the flesh side will be in contact with the pan and get crisp and caramelized. * Higher oven temperature–I prefer 425 degrees–will caramelize the veggies while retaining good texture (i.e., no mushy vegetables). * Since it is the side of the veggie touching the baking sheet that will brown first, check for doneness by peeking underneath after 15-20 minutes of roasting. I tend to roast for less time than most recipes call for–just enough time to get a good color and feel al dente when poked with the tip of a sharp knife. The key is to keep checking. Add 5-minute increments as necessary. * If browned but not cooked through, stir and reduce oven temp to 375 degrees until cooked to your liking. This may happen when roasting larger pieces.